I just don’t know how to express just how PROUD I am of all of my students. They have all worked so hard this year, not only on their pieces, but on all of the requirements of their awards. Many of my students are now able to share their piano talents with others out and about in the community. Three are even playing out as professional accompanists for both Belvedere and Folger McKinsey Elementary School Chorus concerts. 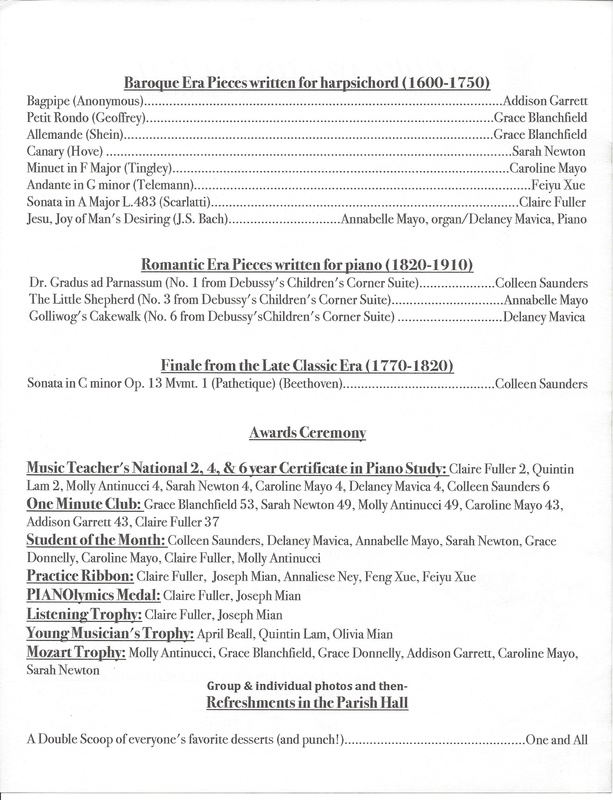 Yesterday we had our end of the school year Awards Recital and it was fabulous. Everyone had a great time hearing all the pieces. Many of the parents commented to me about how nice it was to learn about the composer Claude Debussy and hear 3 of his pieces come to life at our own recital. Colleen gave us all an amazing finale with her performance of the Pathetique Sonata- what a great musical way to end the day. 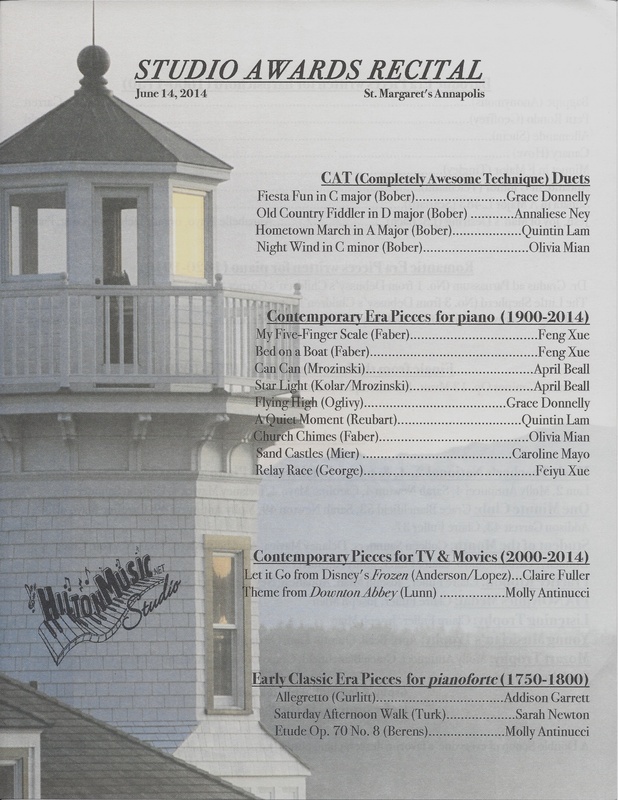 I can’t wait to see what pieces next year’s recital program will hold!